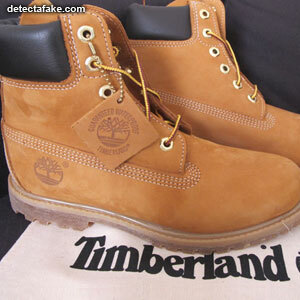 The Timberland Company was founded in 1918 by Nathan Swartz in Boston, Massachusetts. 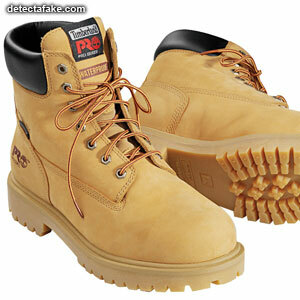 in addition to outdoor footwear, Timberland also sells apparel such as clothes, watches, glasses, sunglasses and leather goods. 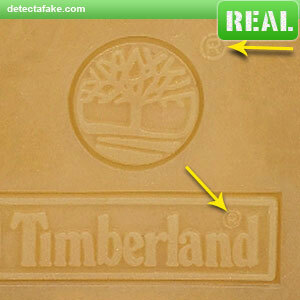 In recent years, counterfeit Timberland boots have become a growing problem for both Timberland & the consumer. 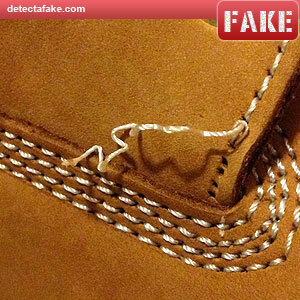 Below are a few steps to help identify fake Timberland boots. The first thing to look for is overall quality. Feel and bend the leather, it should feel thick and somewhat rigid. Next, look at the stitching. It should be very consistent both with the width of the stitch, and the distance between the stitch beside it. Also, make sure the distance between the edge of the material and the closest stitch stays consistent. Notice on the fake above, the distance varies. Next, make sure there are no pulls in the stitching. 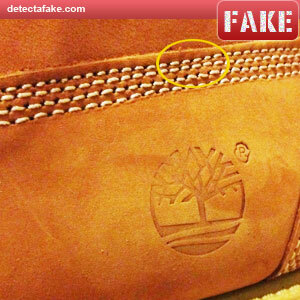 If the boots are new and you see anything like the one above, assume they're fake. 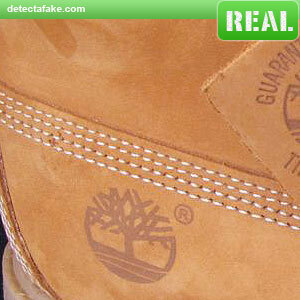 Next, look at the Timberland tree logo on the outside of the boot. Make sure your tree logo looks like the real one above. The fake one above has a lot of inconsistencies when compared with the real one. Next, look at the logos on the bottom of the sole. 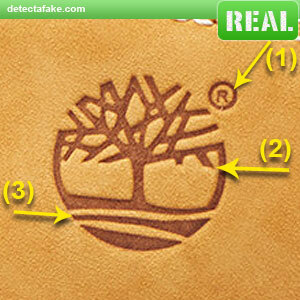 Make sure the Registered Mark (Circle R) is next to the tree logo and in the logo box below. 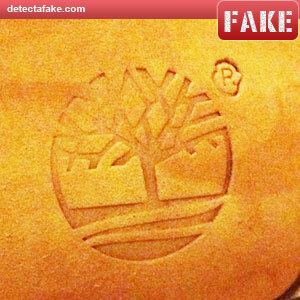 You also need to examine the tree logo itself to make sure it looks like the one above.